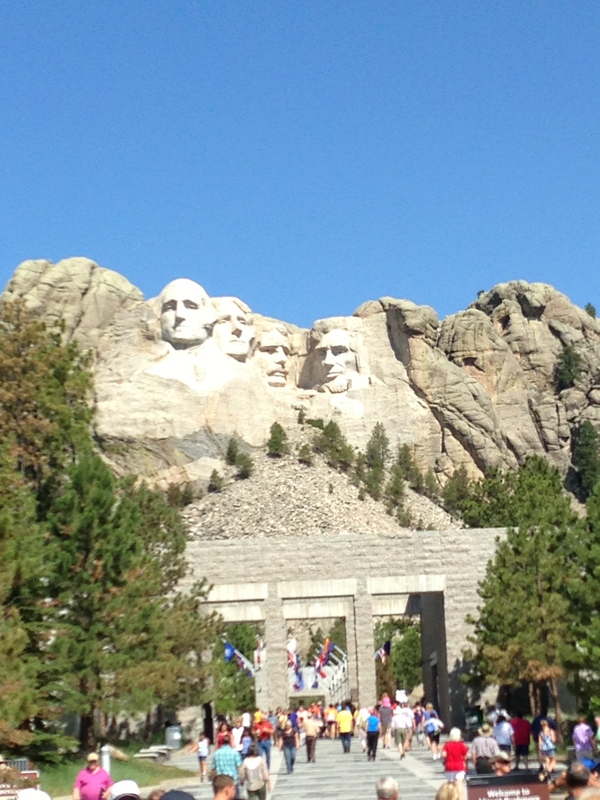 So this past week the missus and I set off (with the in-laws) for the Black Hills and Devils Tower. 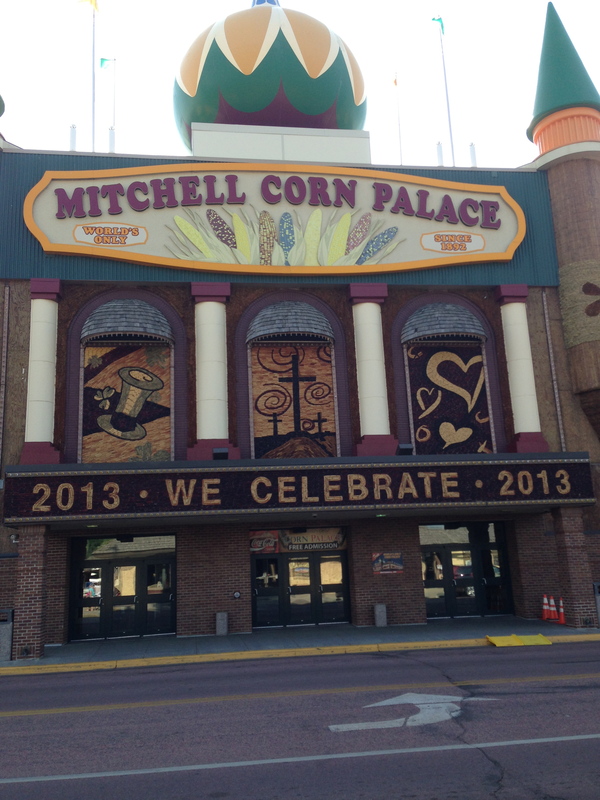 We took two days to get out there, stopping the first night in Mitchell, SD, home of the Mitchell Corn Palace (as well as the home of George McGovern). Long-time readers will know that I’ve done a musical “portrait,” albeit tongue-in-cheek, of the Corn Palace as part of my work Next Exit. The building is actually quite fascinating. Very direct – tells you exactly what it is upfront. Go to their website and read about the artworks. 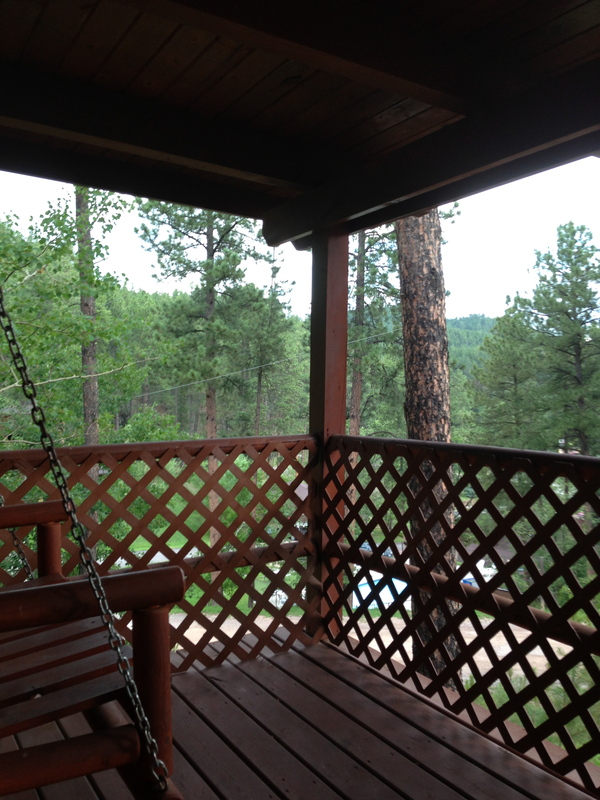 In two days, I spent more time on this porch than on my own front porch the first 17 years of my life. I haven’t been this relaxed in ages. And I for one welcome our new giant stone president overlords. 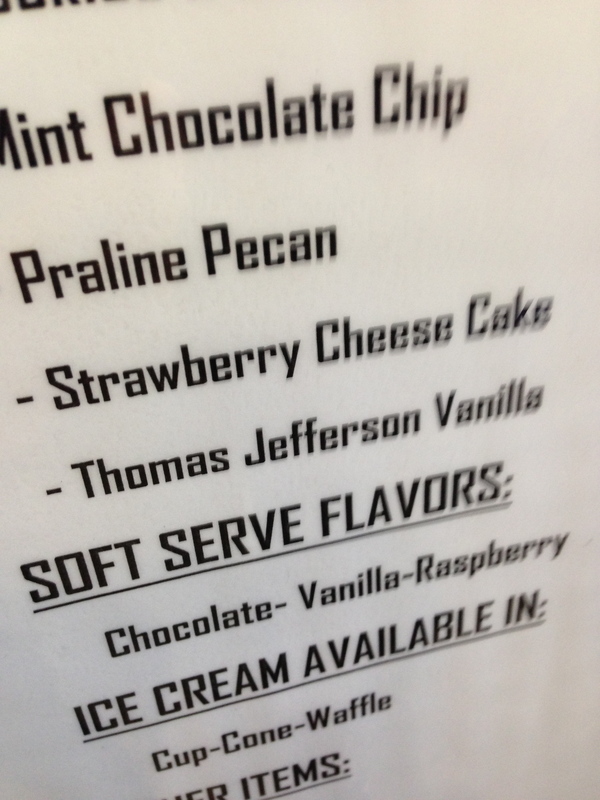 I also recommend having some of Thomas Jefferson’s ice cream (made from his recipe, the first ice cream recipe in the US) at the café. Very creamy, very sweet, not at all what you’d expect. I wanted to order it “Hemings style,” which meant adding a nice caramel sauce that no one would ever mention again. 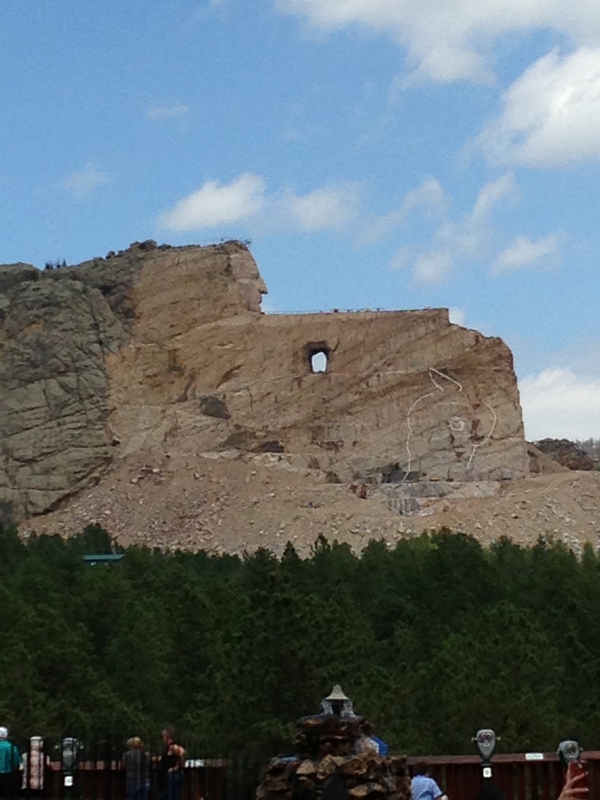 From there, it was off to the Crazy Horse Memorial. I have a larger post on that one; for now, here’s a picture. 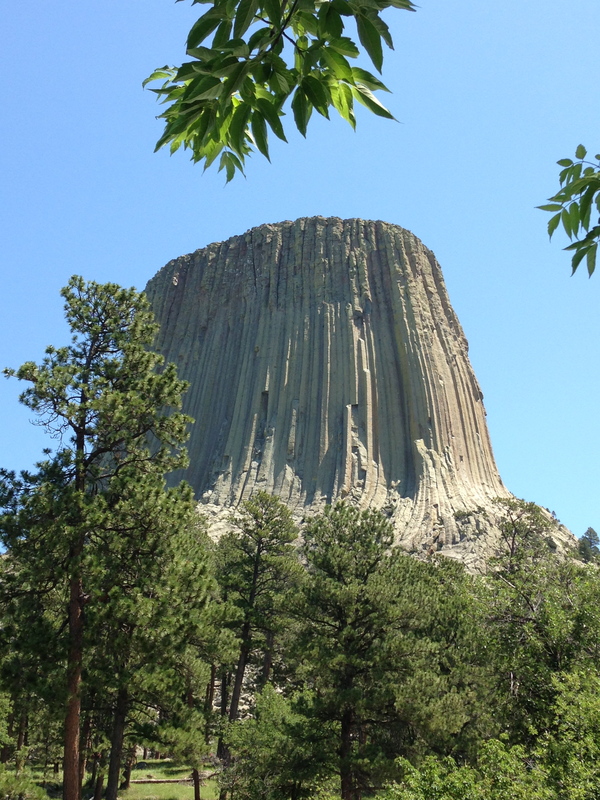 Day two meant checking off states 40 and 41, as we went to Devils Tower in Wyoming and then clipped the far southeastern corner of Montana. I had seen this movie many times, of course, but I was caught off-guard by the beauty of the real deal. See for yourself. 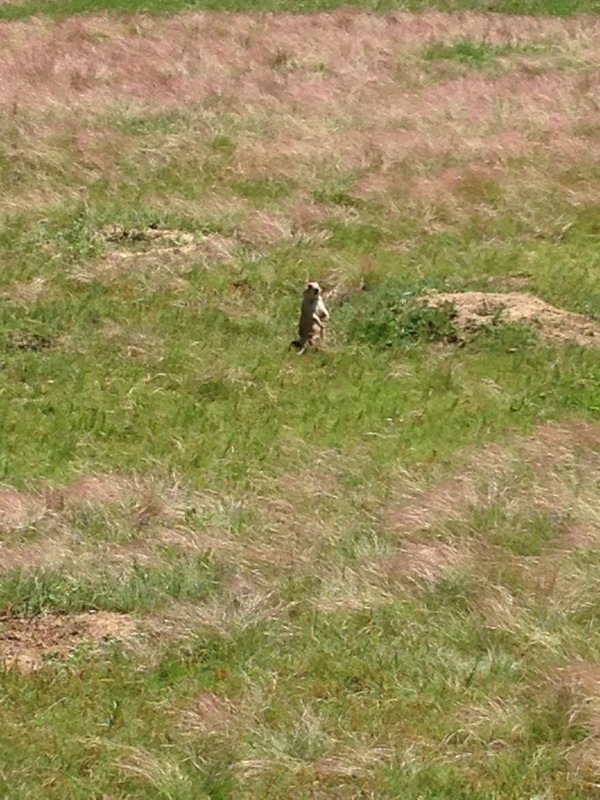 Of course, no trip to Devils Tower is complete without mentioning the Prairie Dog Town. World’s largest game of Whack-a-Mole, really. After one more night in that heavenly cabin, we set out for home via the Badlands. The panoramic photo below gives you a sense – just barely – of this area, so famous in western American history. The closest I ever got to the rim was about 6 – 8 inches; at that point, I had to pull myself back. It’s a long way down. This little excursion came at the best possible time. We are back home now, and my life has returned to composing, working on this book chapter, and planning next semester’s courses. I am refreshed and excited about what the future holds again.